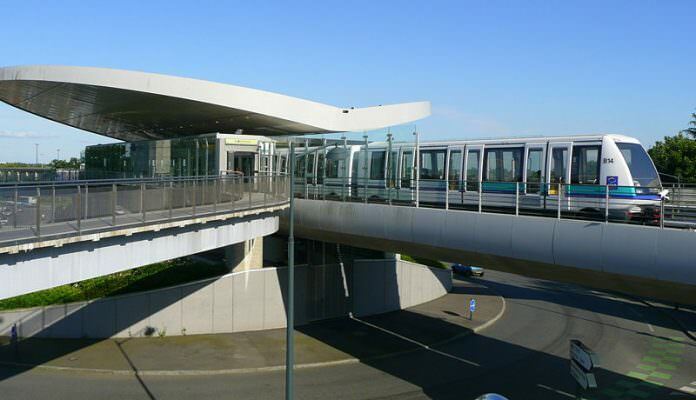 A stock photo of the Rennes Metro. Credit: Pliny. Public transport operator Keolis Group has been awarded two new contracts totalling €1.2 billion in France. In Rennes the metropolis has renewed its confidence in Keolis for a period of seven years, which will generate a cumulative revenue of €960 million, and in Besançon the greater area’s local government has awarded the company a seven year deal too, generating a cumulative revenue of €248.5 million. Both contracts will begin on January 1, 2018. As part of the public transport plans in Rennes, the new arrangement includes the management of a planned second Metro line, the introduction of a new ticketing system from 2019 as well as a new app to show real-time public transport information to improve how mobility is delivered. The 8.5km-long line A was launched in 2002 but a second line has been deemed necessary due to increased patronage. Keolis has been set a target of a 36 per cent increase in passenger numbers, which will see the number rise from 82 million to 112 million per year by 2024, as part of the contract. It has operated the city’s STAR public transport network since 1998. Meanwhile in Greater Besançon, Keolis will oversee the operation of the area’s public transport network – including two tram lines – which aims to increase by nine per cent by 2024. The Greater Besançon area covers around 190,000 inhabitants. CFD123 – The EU will do absolutely nothing as usual. It’s a similar tale with the rampant state subsidies for both PSA Groupe and Renault. Also look at the French corporate buying spree around the world with their companies sat nice and protected by the state in their home markets. And they wonder why the UK wants to leave the EU ! !